When the head of San Francisco's largest HMO dies in his own hospital, no one doubts that it is anything but the result of massive injuries inflicted by a random hit-and-run accident. But the autopsy soon tells a different story - an overdose of potassium killed him, and the attending physician, Eric Kensing, becomes the prime suspect in a high-profile homicide. 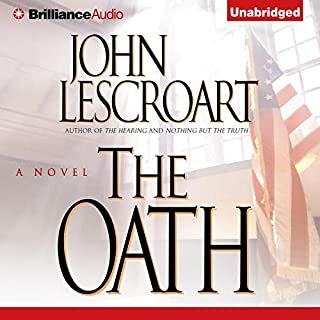 I like a book with a few good suspects like this one, and I especially enjoyed that it strayed from the Hardy formula, in that the client did not go to trial. 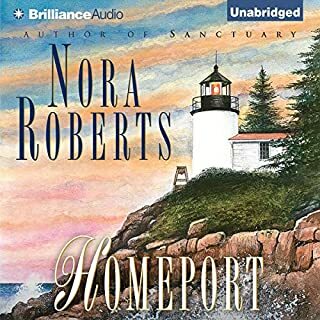 I struggled right from the start of this book at how a smart, law abiding main character can fall in love with a thief, and although I enjoyed the mystery, the attraction of Miranda to her thief was too unbelievable to really get me in. 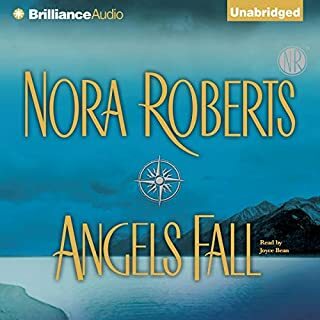 I like the main character of this book , she was damaged but Nora Roberts took you on her journey to good health mixed in with a murder mystery and a good strong no nonsence love interest. Valerie Wyatt is the queen of gracious living and the arbiter of taste with a successful TV show. Since her long-ago divorce, she’s worked hard to reach the pinnacle of her profession and to create a camera-ready life in her Fifth Avenue penthouse. So why is she so depressed? All the hours with her personal trainer, the careful work of New York’s best hairdressers, cosmetic surgeons, and her own God-given bone structure and great looks can’t fudge the truth or her lies about it: Valerie is turning sixty. Just a pleasant way to pass time whilst exercising, but nothing particularly memorable about this book, if fact I realised when it got to the siege at the television station that I had already read the book. The crash of a Dallas-bound jet wasn't just a tragedy to TV reporter Avery Daniels; it was an act of fate that handed her a golden opportunity to further her career. 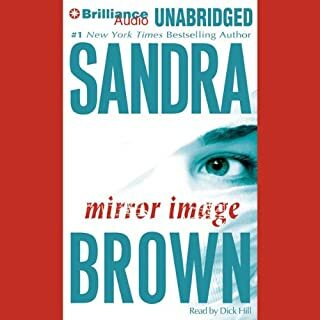 Mistaken for a glamorous, selfish woman named Carole Rutledge, the badly injured Avery would find that plastic surgery had given her Carole's face, a famous senatorial candidate for a husband, and a powerful Texas dynasty for in-laws. I loved the beginning of this story where the main character is forced to endure a surgery to look like someone else. I found it a little difficult to get over the premise that she remained in that character or that she falls in love with someone who holds her with such contempt, but the twist in the 'who dunnit' kept me listening. The call comes at midnight. It looks like a tragic and petty murder - a rising star in San Francisco's legal firmament found shot in a dark alley. But for homicide lieutenant Abe Glitsky, the crime cuts horribly close to home - unknown to anyone, the victim was his daughter. Seething, Glitsky leans hard on his only suspect - a homeless heroin addict found lingering over his daughter's body, with her jewelry in his pocket and a smoking gun in his hand. I enjoyed the story of this case and the conflict that the tough hard headed Abe has to resolve in order to get to the truth of his daughter's murder. There were a few glitches in the narration where lines were repeated which made me think I was going a little mad the first time. 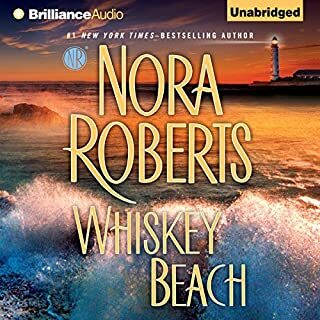 I love a book where the main character has great respect for the women in his life and the affection Eli had for his grandmother, Hesta was well written, as was the gradual integration of Eli into Whiskey Beach and with the love of Abra Walsh helping him to taking control of his life again. It was a nice journey to be part of. When San Francisco attorney Dismas Hardy gets a call saying his wife never picked the kids up from school, he's worried. Frannie's a great mother. Turns out there's a good explanation: She's in jail. 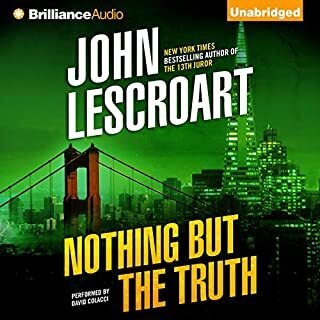 Unbeknownst to her husband, Frannie has just appeared before a grand jury - and refused to share a crucial piece of information about her friend Ron, who's accused of killing his wife. 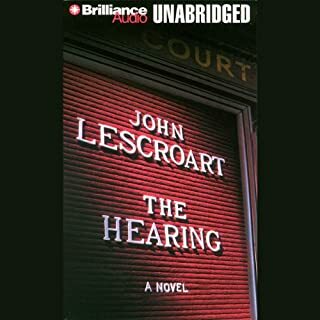 This was my first John Lescroat book and I am now a fan. 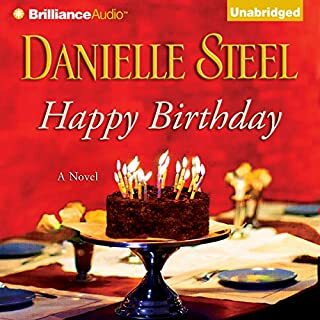 It was a good story with lots of characters and a main character that was dragged into a murder investigation all the while not being sure if his wife Frannie had been unfaithful. Little else in life is as dangerous as fire jumping. Flying past towering pillars of smoke, parachuting down to the edge of an all-consuming blaze, shoveling and sawing for hours upon hours, days at a time, all to hold the line and push back against the raw power of Mother Nature. But there’s also little else as thrilling - at least to Rowan Tripp. The Missoula smoke jumpers are one of the most exclusive firefighting squads in the nation, and the job is in Rowan’s blood: her father is a legend in the field. She’s been fighting fires since her eighteenth birthday. 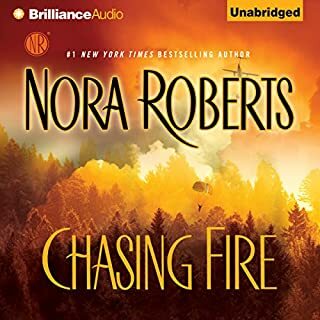 I think the reason I enjoy listening to Nora Roberts is that whilst the romance is a key theme in the book her female characters are so strong in their own right and Rowan Trip was no different. Loved the fact that the setting for this book was such a contrast to the scene of the murder and where the end finally played out. 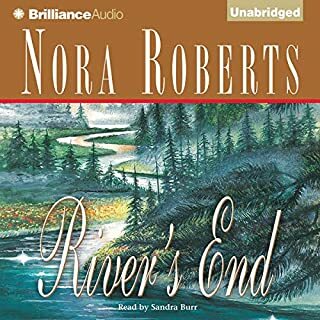 As usual Nora Roberts leads you in one direction feeling like a forgone conclusion only to finish somewhere else.